Having begun releasing ACA Neo Geo titles simultaneously on the Nintendo Switch, Hamster hasn’t missed a week since. Even though they’re ports, how is Hamster’s release schedule determined for them to get these titles out in such short periods of time? 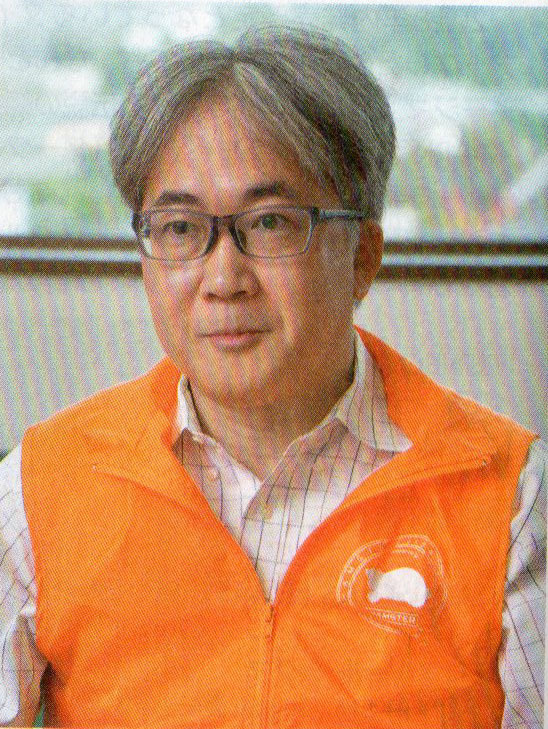 A big fan of arcade games himself, he carries out his life’s work by heading up the Arcade Archives and ACA Neo Geo projects, and also serves as the president of Hamster. Hamster has been working hard to re-issue all of these games so far, but I was surprised when you started releasing Nintendo titles for Arcade Archives. What happened in order to make that possible? (Hamada) Nintendo has many famous arcade games, and I’d been requesting to be able to release them as a part of Arcade Archives for a long time now. And so it was able to happen due to Nintendo working with us, in response to all my requests. I was more surprised than anyone when it finally did happen! What do you think the biggest reason behind this coming to be was? (Hamada) Arcade Archives was brought about with the concept of wanting to re-issue old arcade games across all makers. I can’t say for certain, but I think one reason for it was that the concept resonated with them. Part of it may have also been them acknowledging your track record so far too. (Hamada) I believe that re-issuing Nintendo’s arcade games is big for game history. Of course we’re very grateful to Nintendo, and all of the users that contacted us on Twitter. In the past Hamster has worked on both the “Ore tachi Geesen Zoku” series on PlayStation 2, and the Virtual Console Arcade on the Wii. And to be honest, we’ve made a lot of mistakes. With our releases on the PlayStation 4, I really feel that we took those mistakes and used them as encouragement to get on the right track. Since you’re dealing with older games, is licensing negotiation ever particularly difficult? (Hamada) With a lot of these titles the staff involved with the development have long since left the company, so sometimes it starts from a point of not knowing what to do. There are also cases where none of the original data has been preserved. It’s true that the older the title, the harder negotiations and realizing its re-release can be. There are cases where the data hasn’t been preserved!? (Hamada) There are. In those cases we need to obtain the original arcade board in order to re-issue the game. To tell you the truth, there are several titles that we aren’t able to re-issue because we can’t get a hold of an original arcade board. (Hamada) We typically start by contacting the original rights holder and asking permission to re-issue the title. And then the next thing we do is look for the original arcade board. We work together with people who have access to a great many of these boards in order to secure them. You must be really grateful that there are people that will so willingly lend them to you! It’s scary to think about something happening to them (Laughs). But to a certain extent, it may be difficult to get them to lend you the boards if they didn’t understand that what you were doing is a sort of cultural preservation, almost like that of a museum. (Hamada) Absolutely. I think it’s very close to that. The Arcade Archives series is only possible due to the support of everyone who understands what we’re doing. Bits and pieces of this conversation convey that re-issuing these games is not as easy as it seems, but what’s the reason for that being the case when it comes to these old arcade titles? (Hamada) Actually the mistakes that I briefly mentioned earlier almost lead us toward bankruptcy several times (Laughs bitterly) So I think the reason that we continued to re-issue these arcade games through all of that was because we had a very strong desire of wanting to. If you didn’t, it would be really difficult to release something every single week. At what point did you decide to aim for weekly releases? (Hamada) The reason for that was adding support for Xbox One and introducing ACA Neo Geo titles. Arcade boards work on fundamentally different systems from home hardware, so re-issuing those games is challenging. But in the case of Neo Geo titles, the hardware is the same on both sides, so it’s much easier. That’s why we decided to try to release something every week. As of August 23rd, we’ve released 80 weeks in a row. If not for the Neo Geo titles, I think it would be very difficult to do this. I see. To have that kind of automation! Do you plan to keep on extending that record? (Hamada) 100 weeks in a row is our immediate goal, and of course we hope to surpass that as well. Incidentally, how long of a development cycle does a single title take on average? (Hamada) After we get permission from the appropriate companies, there’s development and QA, and then making tweaks for the different hardware platforms. All of that takes at least 6 months. For that reason, in general we have our release schedule planned out for the next year. In other words, it feels like you can see surpassing the 100 week mark at this point? I’m sure that’s true (Laughs) And why is it that you’re set on releasing weekly? (Hamada) I think it’s because we’d like to release the games that users want to see. After all, the games that everyone used to play back in the day are all different, right? That’s right. Everyone has a different emotional attachment to different titles. (Hamada) If the number of games we re-issue isn’t very high, there are going to be cases where people think “Hey, these aren’t the games I used to play!”. When we thought about what we can do to prevent that, the answer we came up with was to increase the number of games that we release. We wanted to create an environment where uses can choose the titles that they like, and that’s the reason we’re set on releasing weekly. I see. It seems that may also be connected to the reason that the prices of these titles are so low overall. I know that development itself evolves as it progresses, but at what point do you typically determine the release date for a title? (Hamada) There are a lot of cases where that happens right at the last minute. In addition to planning, we need to complete master checks on the three hardware platforms each week, and also upload masters for foreign release as well. Therefore, it’s often very down to the wire. I feel myself getting ulcers week after week. The development team, the debug team, the QA team, and even the legal team all work together to make sure we make it on time…We even get a lot of help from the hardware makers themselves. On the other hand, by releasing every week wouldn’t users thinking “Let’s check the store to see what they put up this week” act as a big motivation for them to help? (Hamada) I think the big reason that we’re able to feature new titles on the stores every week is due to the cooperation from the hardware makers on the Arcade Archives series. It’s ideal for us, since our titles get a bigger jump-start for that reason. I think foreign fans are very grateful for these releases as well. (Hamada) That may be the case. The Neo Geo titles in particular are of course incredibly popular in Japan, North America, and Europe. But they also do very well in South America and the rest of Asia as well. There are a lot of passionate Neo Geo fans outside of us here in Japan. It seems as though there’s a sentiment of longing toward the Neo Geo, for those who didn’t get to play it at the time. And it makes me very happy that Japanese games are loved throughout the world. I see. It certainly does seem that those who think “I didn’t get to play this game back then, but I can play it now!” tend to download these titles. And now for my last question, are you planning on choosing an appropriate title for your 100th weekly release? Please try to make that happen! Thank you very much for your time today.